About 60 entrepreneurs applied. Ten were selected. Three were ranked most highly by voters, and one ultimately won the grand prize award. That was a process designed by the K-State College of Business to encourage entrepreneurs, and the winner is an innovative entrepreneur from rural Kansas. Chad May is an owner and founder of a creative new business named Meltpoint Environmental, which won the top prize in a process created by the K-State College of Business. Chad (who is not the former K-State football player of the same name, by the way) grew up at the border town of Caldwell, Kansas. He got an environmental management degree from Northeastern Oklahoma State University and pursued a 20-year career marketing pharmaceuticals and medical supplies. As he worked with hospitals, Chad noticed the large amount of waste that they produced. This was much more complicated than managing household waste, because hospital waste includes used operating room supplies, electronic waste, radiology waste, and many more types of products which are not always easy to recycle. One of the large and hard-to-manage types of hospital waste is the surgical blue wrap which covers virtually all sterilized items in an operating room. This wrap is porous so as to allow cleaning but is also durable. It is big and puffy so it fills up lots of landfills but is not compact or biodegradable. Hospitals end up throwing away lots of this stuff as it is used. In fact, the average hospital generates 16 pounds of surgical blue wrap and related plastic waste every single day. Chad observed this problem and came up with an idea. What if they could use heat and compaction to compress that waste into a product which would be practical to recycle? This could save hospitals money and conserve space in our landfills. In order to pursue this idea, Chad created a new business called Meltpoint. Chad and his wife were living in Dallas at the time and were looking for a smaller school system for their kids. With help from the Sumner County (Kansas) Economic Development office, Chad located his business in Caldwell and moved back to his hometown. He now operates Meltpoint and the Great Plains Environment and Recycling Company. Great Plains does recycling of plastic and other types of products, while Meltpoint equipment is being marketed to hospitals around the region to help manage and conserve their waste. One day in 2014, Chad got a message from the Sumner County Economic Development office about a new initiative being launched at K-State. It was called LAB for Launch A Business. 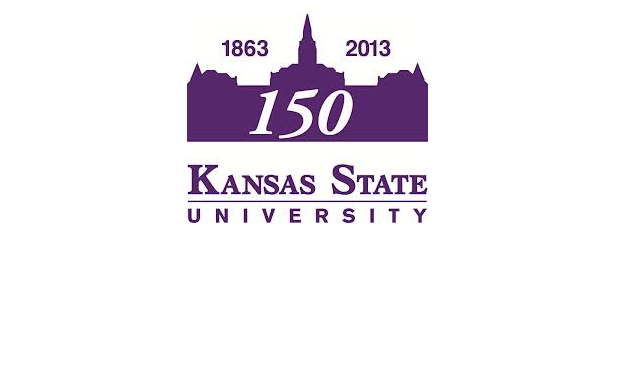 The Center for Entrepreneurship in the KSU College of Business, with support from Kansas State Bank and others, was launching this initiative to support entrepreneurs with creative ideas or new businesses. It involved training with KSU faculty and networking and mentoring with business leaders, plus a prize for the top business. Chad thought it looked interesting, although it meant driving to Manhattan once a week for five weeks. In the end, he decided to apply and was one of 10 entrepreneurs to be selected. “It was a great experience,” Chad said. “I learned a lot and we’re using some of those tools we were taught every day.” The LAB process culminated in an event where each of the 10 entrepreneurs displayed their ideas and business plan in a public forum. Attendees voted on the ideas, and the top three were selected to pitch their business concepts to a panel of expert judges for a cash prize. The top winner? Chad May of Meltpoint. That’s an impressive accomplishment for a business located in a rural community like Caldwell, population 1,264 people. Now, that’s rural. For more information on LAB, which will be held again in 2015, go to the Center for Entrepreneurship. About 60 entrepreneurs applied. Ten were selected. Three were chosen by voters, and one ultimately won the grand prize award from a panel of experts. We salute Chad May of Meltpoint Environmental for making a difference with technology to help hospitals save money, help the environment, and recycle their waste products. Now Chad can proudly say, he’s Number 1.